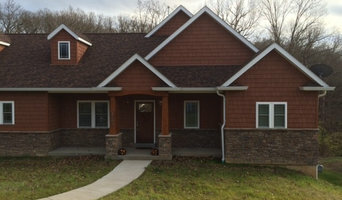 Wholesale Siding Depot is the number one distributor of exterior building products in the greater metro St. Louis Missouri and Illinois area. United Construction Solutions LLC is a licensed and insured St. Louis Construction company dedicated to providing professional, quality service to businesses and homeowners. We specialize in Commercial and Residential Restoration for Storm, Fire, and Water damage as well as generally needed improvements to properties. Locally owned and operated, our main office is in Arnold, Mo located to serve all the Saint Louis. Hannon Construction a veteran-owned general contracting firm serving the St. Louis region. 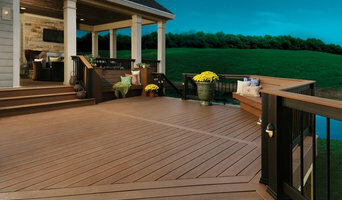 We are one of the best exterior companies in the area. Our services range from the simplest gutter job to specialty siding or wrap job. Prestigious Renovations LLC is a locally owned business focused on design, construction, painting, and remodeling of interiors and exteriors to include decks and siding, in order to turn ordinary houses into homes for occupancy and/or resale. We take pride in our work and always make every effort to remain affordable while performing at our best. Ronald E. Emmenegger Enterprises, Inc. 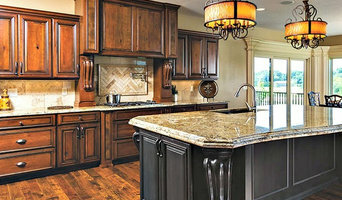 The Emmenegger Family has been building quality homes in the South and Southwest County area of St. Louis since 1942. Following in the footsteps of my grandfather, Edward Emmenegger, and my father Russell, we continue the building tradition of quality homes which are well appointed and provide personal attention to the buyer's wants and needs. We approach each project with a cooperative mindset, working hand-in-hand with clients and designers with a common goal of "building just the home for you". We build from your plans or from custom home design plans we draw for you. Not all home plans can work correctly on each lot or home site. We make sure your home design needs can be "sited" properly on each lot or parcel of land prior to final design. 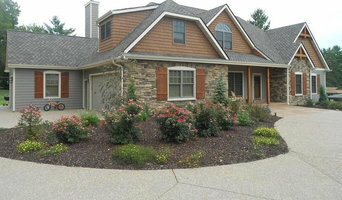 Visit our photo gallery of homes as an example of the work we do. I was raised in rural Missouri in an old farm house, filled with antiques. When I was just a kid, I discovered the Fox Fire book series which taught me how to build a hand hewn log cabin. With plenty of woods on our farm, and an axe in hand, I set out on a career that still keeps me busy. With a small crew, I've been professionally dismantling and reconstructing antique log, post & beam homes, and barns, since 1991. These wonderful structures need to be saved from the devastation of the bulldozer as progress marches on, deeper and deeper into the lands, once known only to our forefathers. Over the years, I have developed a reputation for my craftsmanship and respect for authenticity in my restorations. Great effort is made to keep the projects period correct and all materials and workmanship the same as the original construction. I can dismantle, document and move a structure or restore it on site. We also do structural repairs, including sill replacements, log replacement, and leveling. Most of my time is spent in actual restoration projects, but I have gained a reputation for my historic construction consultations. I have worked on National Historic Sites, State Historic Sites, County Parks, Universities, Civic and Historical Societies, DeKalb County Illinois Forest Preserve district and countless private projects. Having been called in to assess feasability on projects, structural assessments, period and architectural interpretation as well as design and site development. Roof, Gutter, and Siding Professional currently serving Florissant and surrounding areas.